Are you tired of watching 2 to 3 year-old 120-130 class so called “Monster Bucks” being targeted for on-camera kills? Our 90-minute video features mature bucks with an average age of 7-1/2 years old and an average score of more than 170 points! Simply amazing! These hunts were filmed in the Midwest and South Texas. Bowhunts, rifle hunts, as well as rifled shotgun hunts. This is an unbelievable collection of whitetail hunts for some of the biggest bucks taken in the past seasons. See year by year video of some of the harvested bucks – invaluable for aging and management. 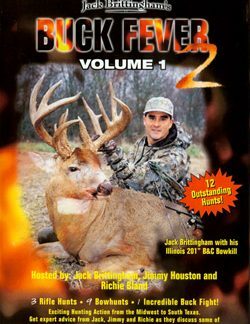 Listen as Jack Brittingham tells of his bowhunt with Richie	Bland where Jack arrows a 204 point non-typical in Illinois. Plus join Bland as he arrows a net B&C typical in Illinois. Get after the kill photography tips from Gordon Whittington, editor of North American Whitetail. 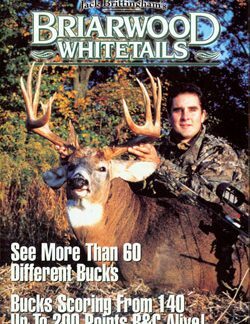 Watch the 1997 largest Texas whitetail bow kill. Feel the excitement as two giant bucks are taken with rifled slugs in the Midwest. 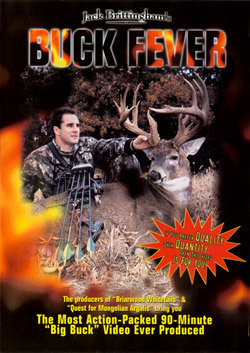 Be on the scene to see the largest buck ever taken by a bowhunter on video scoring 206 gross Boone & Crockett points. Join Barron Brittingham as he makes a 300 yard shot on a 150+ main frame 8 point in South Texas. Unbelievable footage of a 230 gross B&C non typical. See what a deer like this looks like at two years old.